Everyone likes options. Sure, it’s a lot easier to choose, say, a specific type of car if there’s only one or two options to choose from. However, consumers don’t like to feel like their settling in to a product. They want their purchase to deliver everything they desire, and this isn’t necessarily possible if selections are limited. 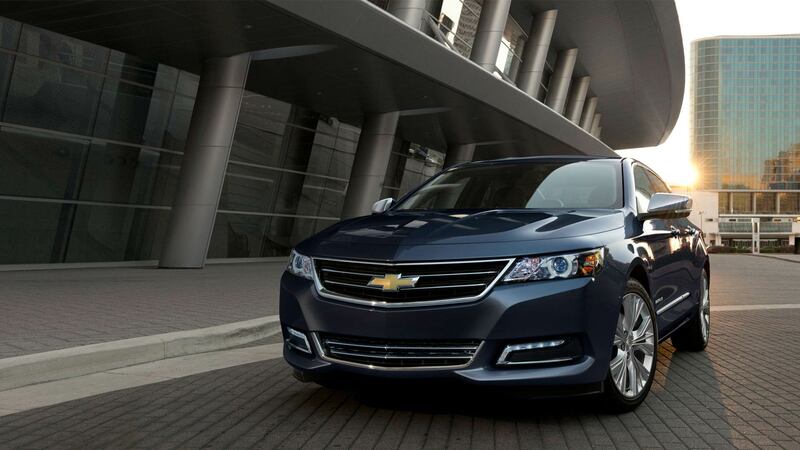 Luckily, for those seeking a mid-size car, the 2016 Chevy Impala offers a variety of potential options, allowing buyers to build and personalize their new ride. Customers can choose between a variety of color options, several wheel offerings, and a number of interior upholsteries. Plus, they can pair their new ride with four impressive trim options, with each of these offerings providing their own specific capabilities and features. Your first selection may not seem all that difficult, but it’s actually one of the most important decisions throughout this entire car-building process. After all, most car owners (especially Impala owners) want others to gawk over their new ride. Drivers won’t be able to impress others with a generic, common color. If you actually want to generate some interest in your ride, choosing the proper color is rather essential. 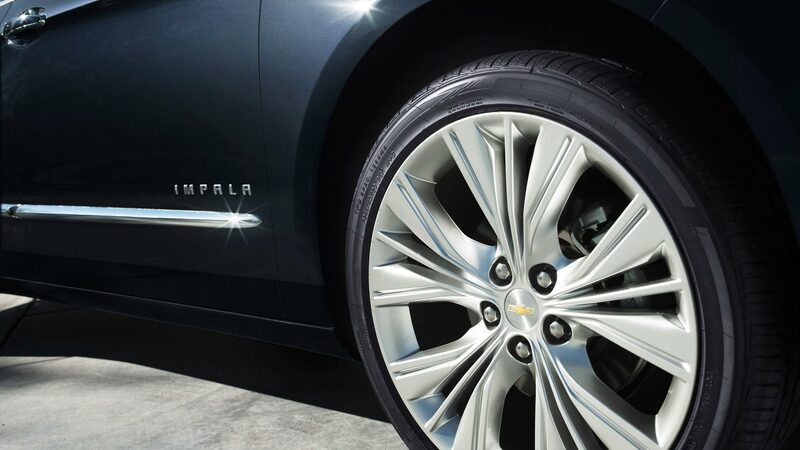 Each of the Impala’s wheel options is more than capable of holding their own, regardless of the conditions. As a result, drivers won’t have to worry about decreased performance after having pursued a particular wheel option. Still, some owners may prefer larger wheels, while others would rather their Impala was equipped with smaller wheels. Either way, these striking parts will demand attention from your fellow drivers. 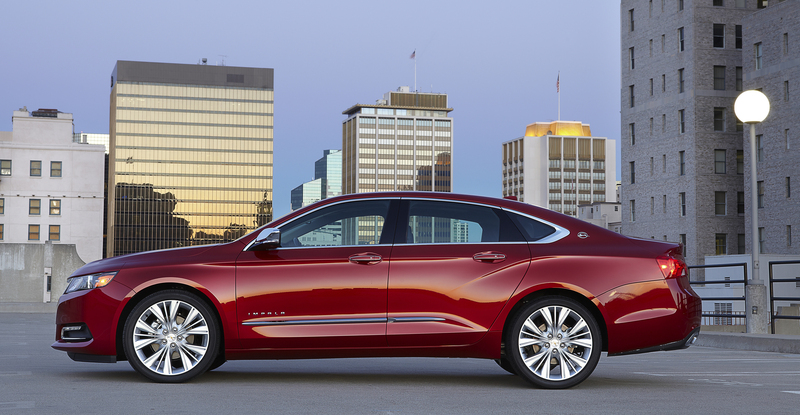 Your most difficult decision may be choosing between the Impala’s four available trim options. Each of these offerings delivers their own specific amenities and capabilities, so it certainly isn’t easy to zero in on a specific option. The LS is the most affordable option at $27,095. The vehicle is equipped with the 2.5-liter ECOTEC four-cylinder engine, which can produce 196 horsepower and 186 pounds-feet of torque. Thanks to technologies like Direct Injection and the Start/Stop function, drivers can expect an estimated 22 city/31 highway mile per gallon efficiency from the unit. The engine is paired with the brand’s six-speed automatic transmission. The interior is highlighted by the full-color, high-resolution Driver Information Cluster, as well as an infotainment center. Via the technology, drivers can access the three-month trial of SiriusXM Satellite Radio, as well as their OnStar Guidance Plan. The Bluetooth wireless technology allows drivers to connect their phone to the system. 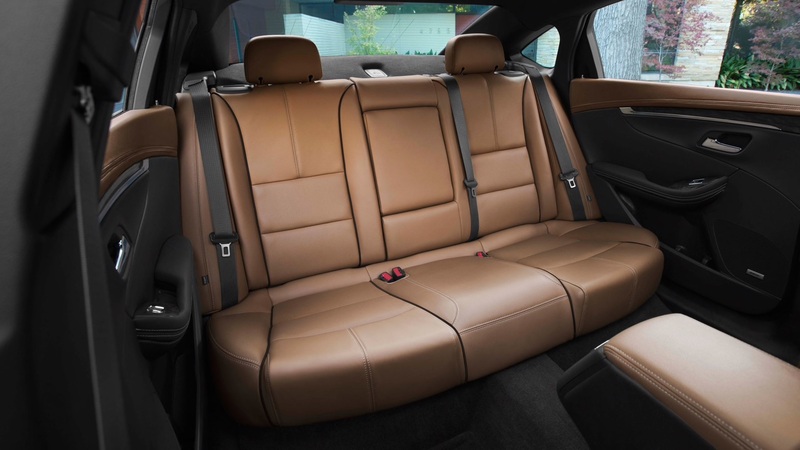 As drivers appreciate this technology, they can also enjoy the premium cloth seats and the eight-way power-adjustable seat. In regards to safety, the vehicle includes projector-beam halogen headlamps (providing maximum visibility) and 10 airbags (providing maximum protection). The StabiliTrak Electronic Stability Control System will play a significant role in keeping your Impala on track, as the technology will alert the driver when they may be putting their vehicle in a precarious situation. Next up is the 1LT trim, which starts at $29,460. This version carries over several of the LS’s features (including the engine), but this Impala also sees several additions to the interior and exterior. For starters, the Chevy MyLink radio is included in the interior, and drivers can access a number of applications via the eight-inch-diagonal touch-screen. Thanks to Apple CarPlay, drivers can manipulate their phone via the system, and the two USB ports assure that your smartphone will continually stay juiced. The leather-wrapped steering wheel and shift knob provide some luxury to the interior, while the dual-zone automatic climate control will manipulate the settings to provide optimal pleasure. The exterior sees the inclusion of power-adjustable mirrors, as well as 18-inch painted-aluminum wheels. The 2LT trim is next on the list with a starting price of $30,435. The lone (albeit, very significant) inclusion is the 3.6-liter V6 engine. The unit pumps out maximum power at 305 horsepower and 264 pounds-feet of torque. Surprisingly, thanks to the Variable Valve Timing, drivers can still expect a 29-mile-per-gallon fuel efficiency from the system. The 2LTZ is the priciest trim option, starting at $35,540. This version of the Impala is led by the variety of safety functions. Engineers included several features, including Forward Collision Alert, Rear Cross Traffic Alert, Lane Departure Warning and Side Blind Zone Alert with Lane Change Alert. Each of these technologies (along with the rear vision camera and Rear Park Assist mode) should play a role in keeping your new car out of harm’s way. Meanwhile, the exterior includes 19-inch machined-face aluminum wheels, chrome exterior mirror caps, new headlights and running lamps, and a lower bodyside chrome molding. The interior sees the inclusion of leather-appointed heated front seats. The remote vehicle starter system provides maximum driver convenience, while the Keyless Access with Push-Button Start should deter any potential thieves. I’m not mathematician, so I can’t accurately tell you how many combinations there actually are. 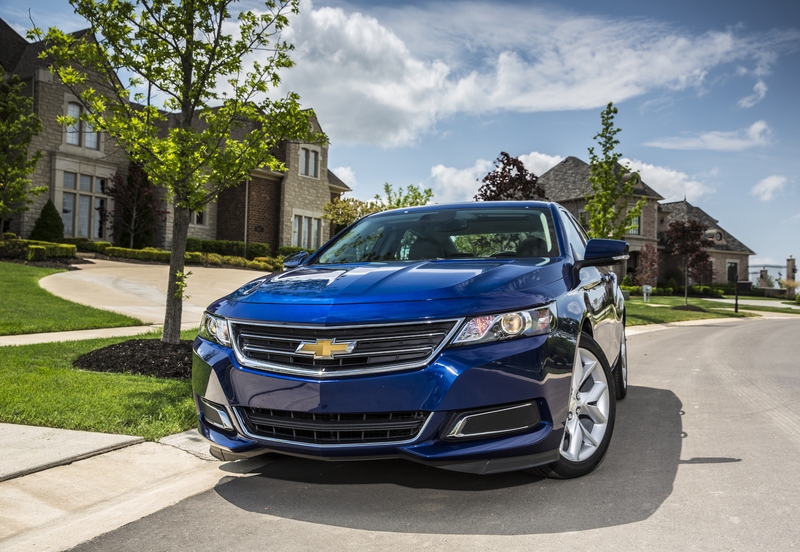 However, it’s clear that a customer’s ability to personalize their 2016 Chevy Impala is unmatched.